The Disney Cruise Alaska 2012 itineraries are now available to book. The Disney Wonder will sail out of Seattle in 2012 for 7 night cruises to Alaska. An Alaska cruise is one of those once in a lifetime experiences. The scenery is truly breakthtaking. And I can think of no better ship to experience it on than the Disney Wonder. This is a change from 2011 when the Disney Wonder sailed out of Vancouver. The decision to move the home port from Vancouver to Seattle was a contraversial one, but Disney Cruise Lines decided that the Seattle port was more accessible for most US guests. The port of Seattle is one of the best in the US, with easy access from the airport. The sail dates are May 28, June 4, June 11, June 18, June 25, July 2, July 9, July 16, July 23, July 30, August 6, August 13, August 20, and August 27, 2012. The Disney Wonder is one of the original cruise ships in the Disney Cruise Line fleet. The Disney Wonder cruise ship is 964 ft and carries around 2,400 passengers which can increase to 3,000 if all the staterooms are at maximum capacity. Disney Wonder has has 877 cabins. 252 inside and 625 outside. 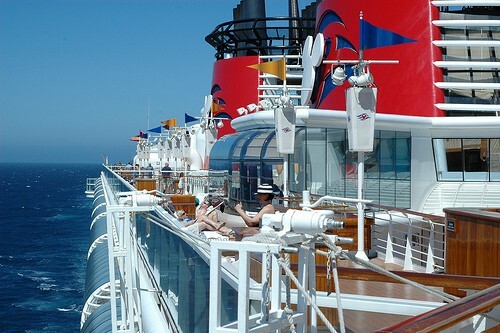 Disney Cruise Line is known for it’s family friendly cruises and well designed staterooms. Their staterooms are up to 25% larger than the industry standard – a very welcome innovation, particularly when cruising with a family. Disney is also one of the few cruise lines to offer staterooms which sleep up to 5 guests. This can mean conseiderable savings for families of 5 as the do not have to book 2 staterooms or an expensive suite as they do on most of the other cruise lines. There is plenty to keep every member of the family occupied onboard the Disney Wonder. Whether you want to spend some alone time, or enjoy the many family activites on board, Disney Cruise Line has everything covered. As you would expect Disney is very good at keeping the children entertained day and night, but it also caters very well for the adults. There are separate areas and activities for the adults on the Disney Wonder. The grown ups can relax in the Quiet Cove Pool whilst the children are having fun in the Oceaneers Lab. Teens get a special area they can call their own on Deck 11 – this sometimes hard to please age group is sure to be happy on a Disney Cruise. Disney is the master of entertainment and you can expect the very best stage shows at Sea. Enjoy Toy Story The Musical, Golden Mickeys and Disney Dreams an Enchanted Classic. 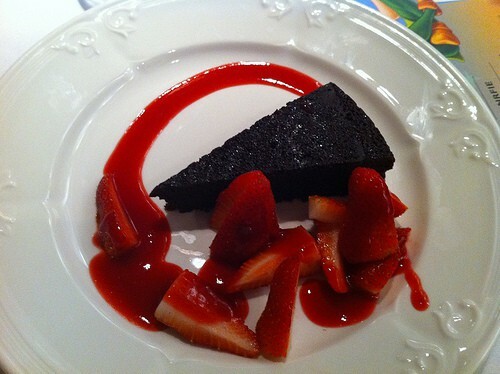 Dining on a Disney Cruise is also a magical experience. Disney is the only cruise line to have rotational dining. What does this mean? There are 3 restaurants on the Disney Wonder, Tritons, Parrot Cay and Animators Palate. On each Disney cruise you will experience each restaurant at least once. The unique feature is that your wait staff will rotate with you so you will always have the same servers each day. This is a really excellent feature. You get the best of both worlds. A change of restaurant but with servers who know your likes and dislikes, and who have had the time to get to know your family. 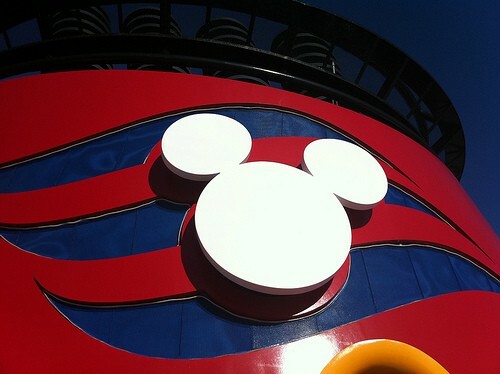 The Disney servers are some of the very best at sea so you will soon feel very much at home. Why chose Disney for an Alaskan cruise? There are many other cruise lines which you could choose to sail to Alaska with – many of them sailing out of Seattle. And it is true that Disney is one of the more expensive choices. But if you are looking for a very high quality experience sailing some of the most breathtakingly beautiful water in the world then Disney is an excellent choice for your Alask cruise. Are there any special discounts on Disney cruises to Alaska? 2011 was the first year which Disney sailed to Alaska. It did have very limited kids sail free offers for select dates in 2011 – but you can never guarantee that the same will happen again. It will all depend upon how well the Disney Alaska cruises are selling for 2012. Usually it is best to book as early as possible to get the best prices. With other cruise lines sometimes you do get a last minute bargain, but Disney cruises are very very popular so the usual problem if you leave it too long to book is that you cannot get a stateroom at all. 2011 has been one of the very best years ever for Disney Cruise Lines and their ships, particularly the new Disney Dream have been sailing at capacity. So do not leave it too long to book – if you know that you want to sail on a Disney Cruise the usual trend is that the earlier you book the cheaper it will be, and of course you will get much more a choice of staterooms than if you leave it until the last moment.